All our Panel glides are made to measure. Call us for professional advice on the ultimate ideas to maximize the potential of your home. 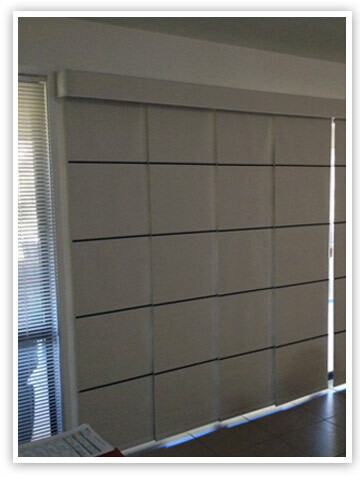 Panel glides are a blind option predominately used over sliding doors. Panel Glides have wide panels that glide back in behind each other when opened. Panel glides are available in the budget range of 20 modern and classic colours or choose from other block out, see through or light filtering fabrics.